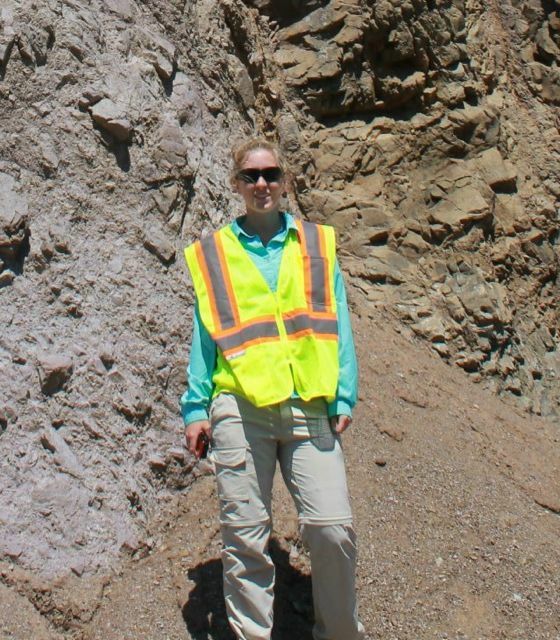 Amanda Livers’ interest in geology and earthquakes began in middle school. 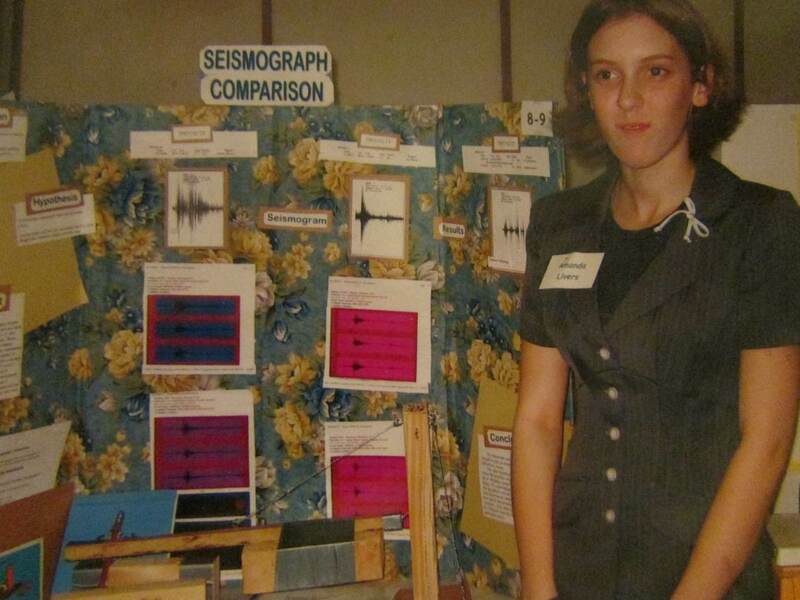 When choosing a topic for the science fair Amanda found IRIS’s Seismographs in Schools website and convinced her 8th grade science teacher that they should apply. Their joint application resulted in Sidney Middle School (Sidney, MT) receiving an AS-1 seismograph. Over the following year, Amanda installed the seismograph and began learning to use the software and interpret the data. 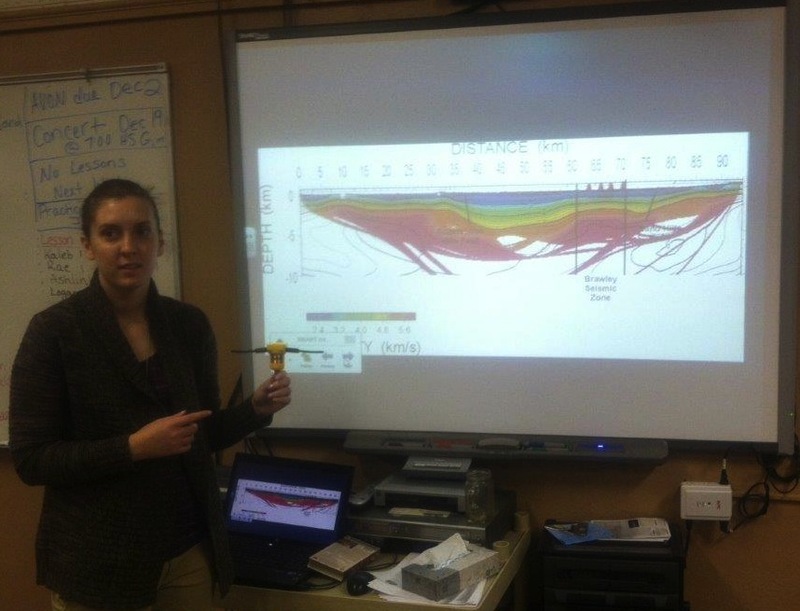 She gave many presentations on the seismograph and what it could record to the other science classes in her district. She also used the AS-1 to compare the seismic sensitivity of the AS-1 and a homemade seismograph that she constructed. This investigation project won third place in the Middle School Earth Sciences Division at the Montana State Science Fair and received additional recognition as the University of Montana Geology awardee. Amanda’s initial interests blossomed through undergraduate coursework in physics and geology, and ultimately led her back to IRIS through the Undergraduate Internship Program. During the summer of 2012, Dr. John Hole mentored Amanda as she worked with data from Salton Seismic Imaging Project. Amanda is currently pursuing an advanced degree in near-surface geophysics at the University of Kansas. 2012 Interns’ interest for seismology started with a school seismograph in middle school (left), led her to IRIS for an internship with the IDOR experiment (center), and ultimately back to middle school to discuss her experience as a graduate students in near-surface geophysics (right).